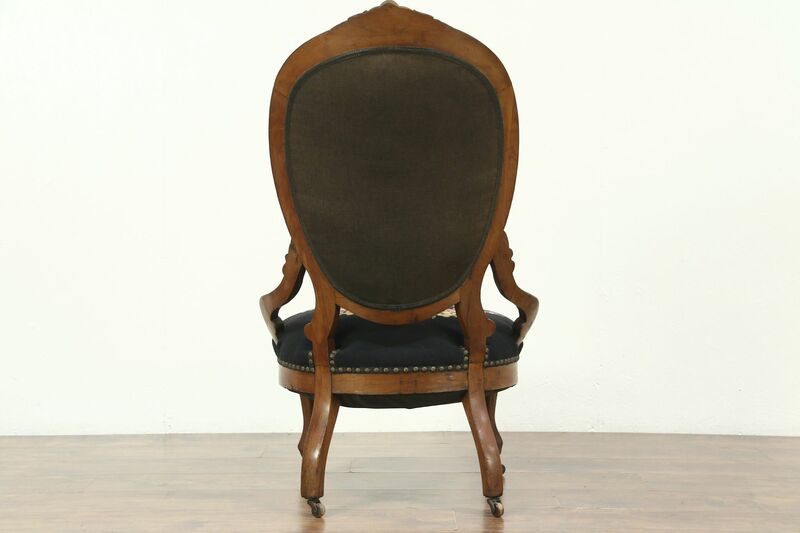 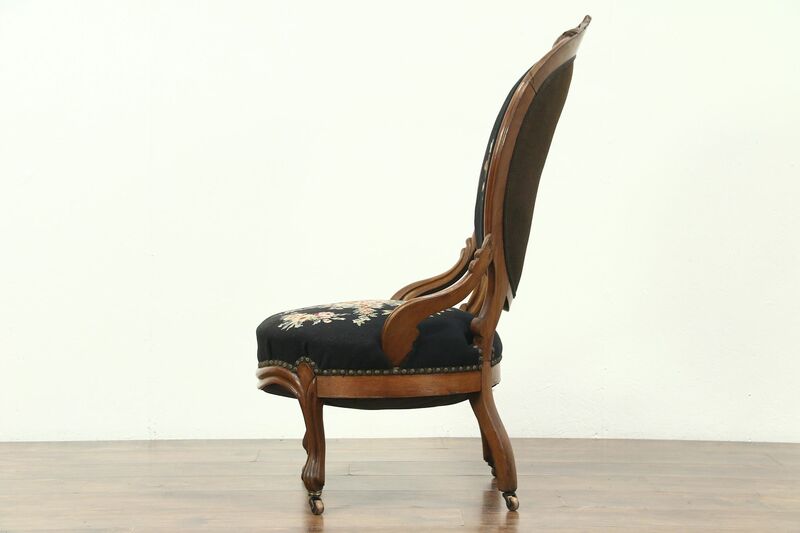 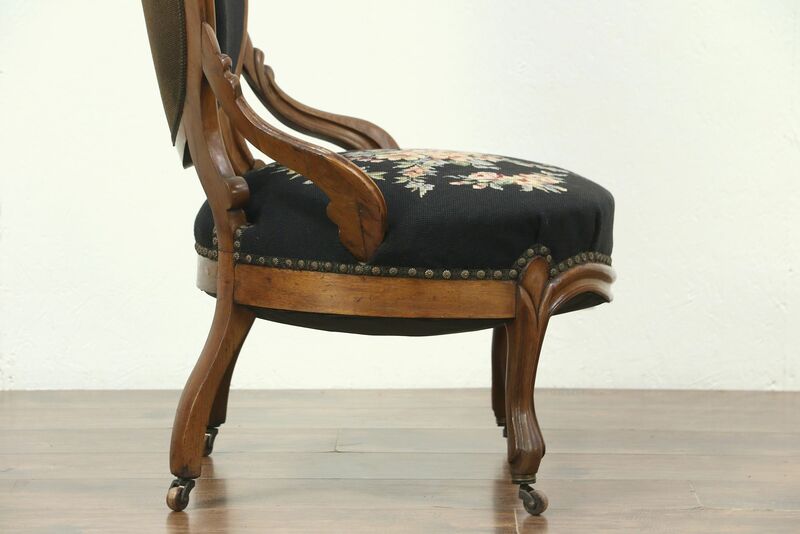 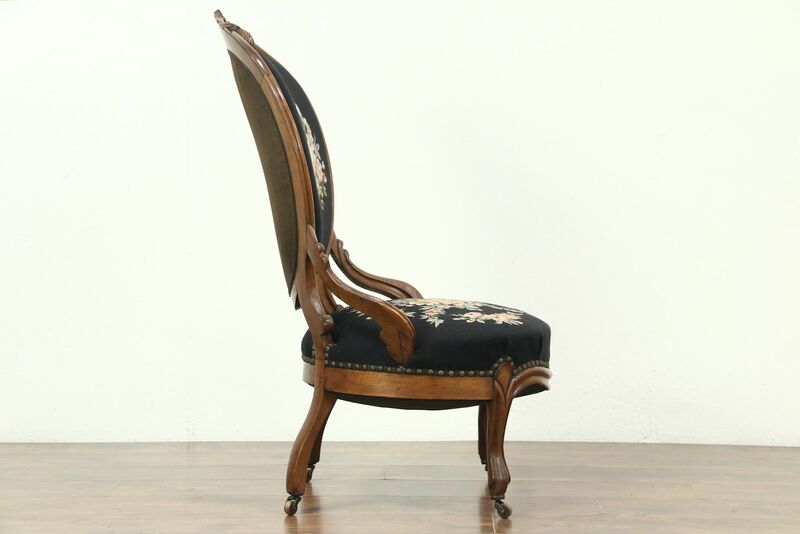 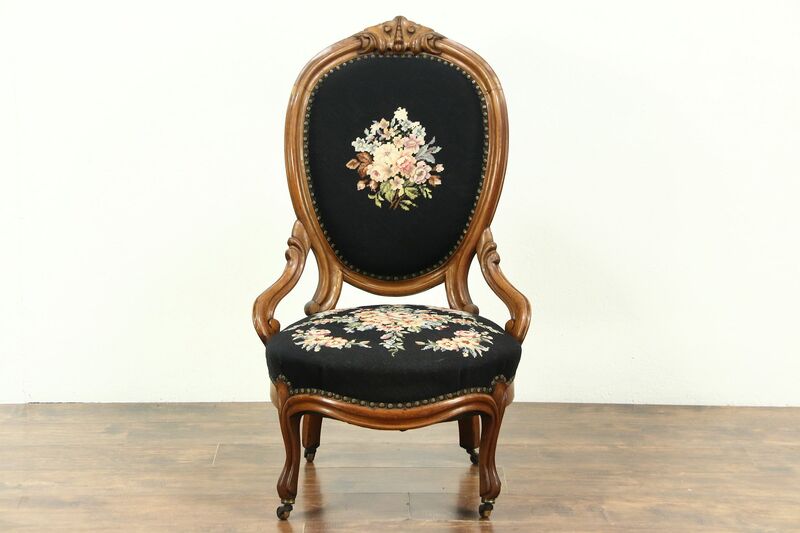 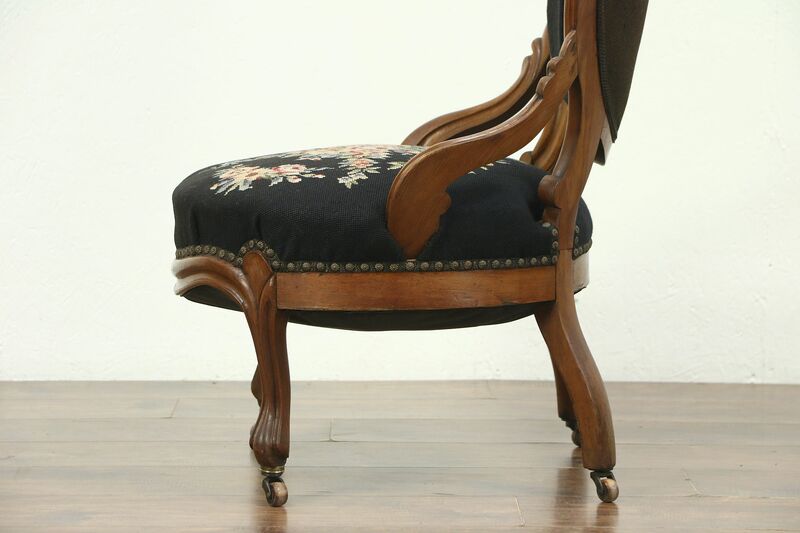 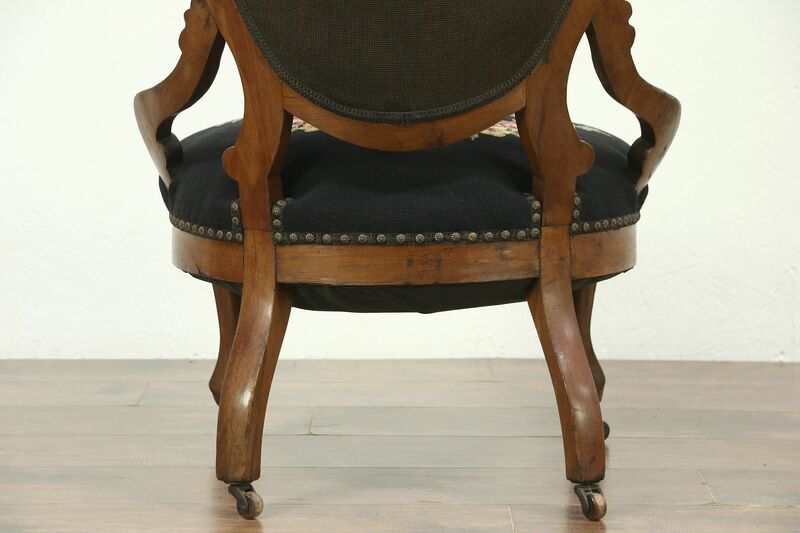 This style of 1860's Victorian chair was often called a "balloon back." 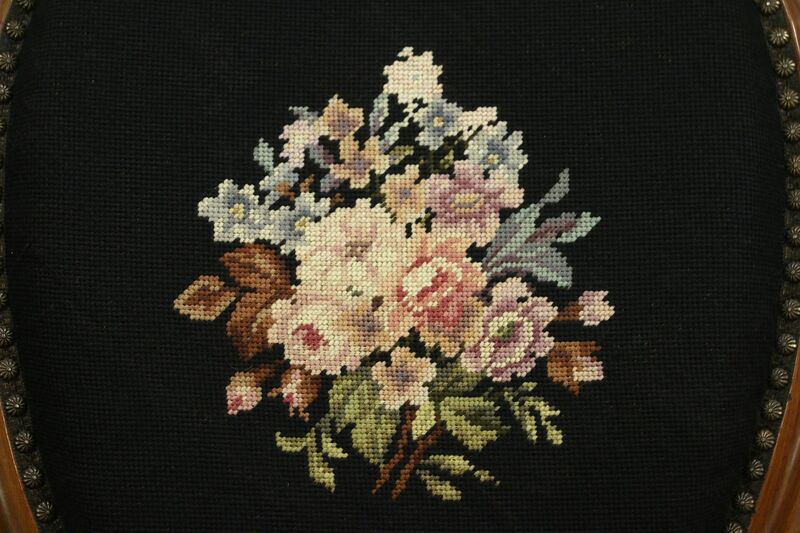 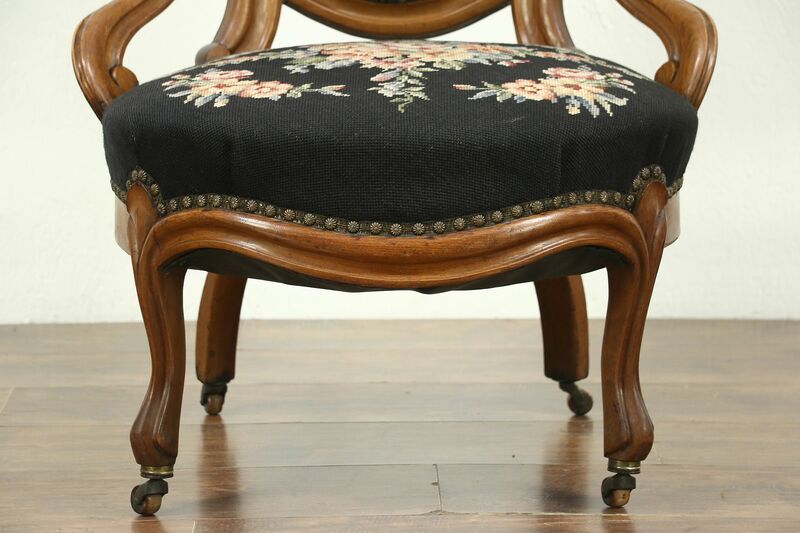 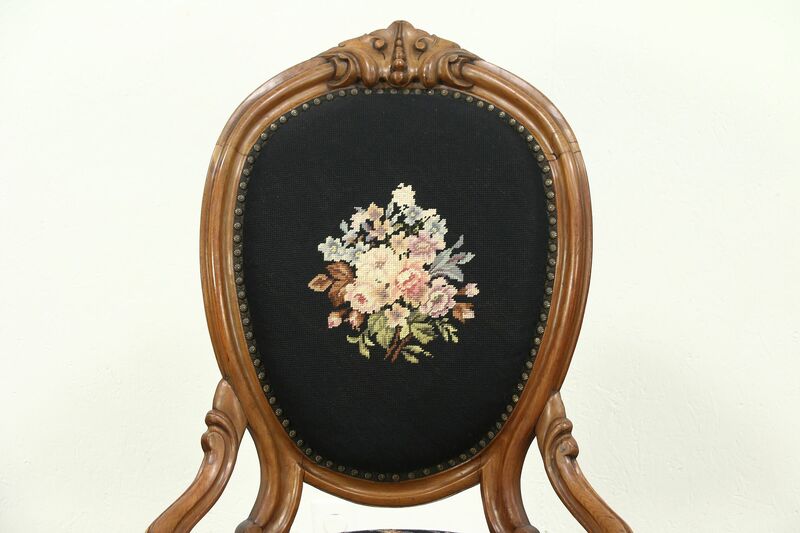 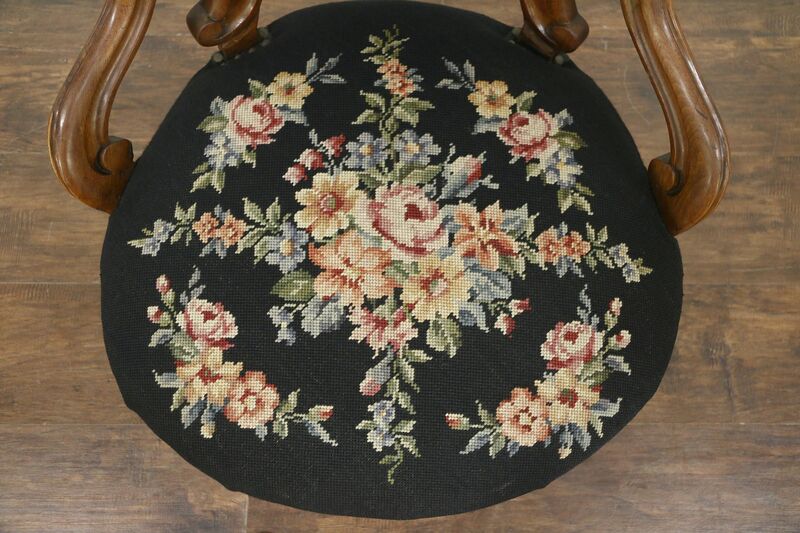 Hand stitched genuine needlepoint upholstery is in very good condition with brass nailhead trim. 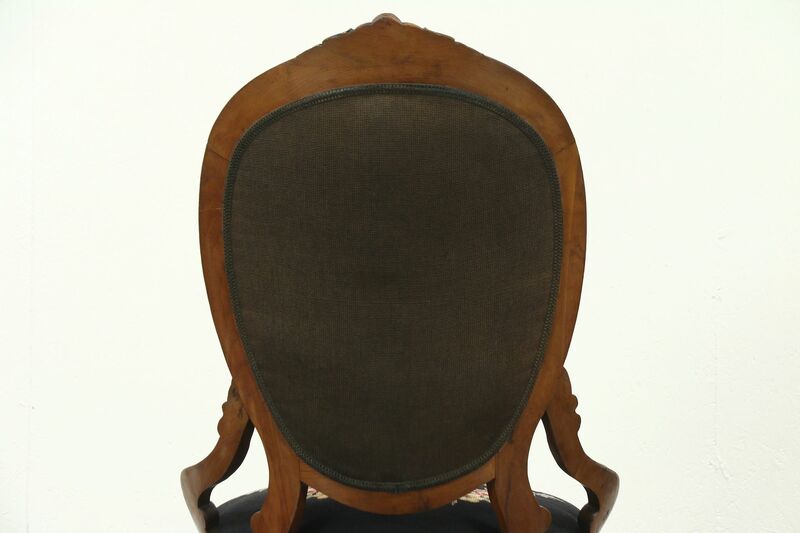 The backside is faded, see photos. 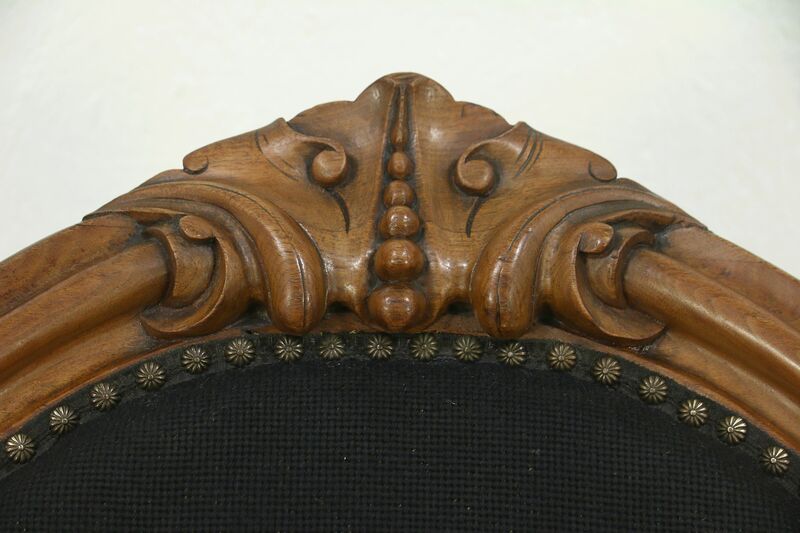 Hand carved of solid walnut, the old finish is in very good condition on this American made antique furniture. 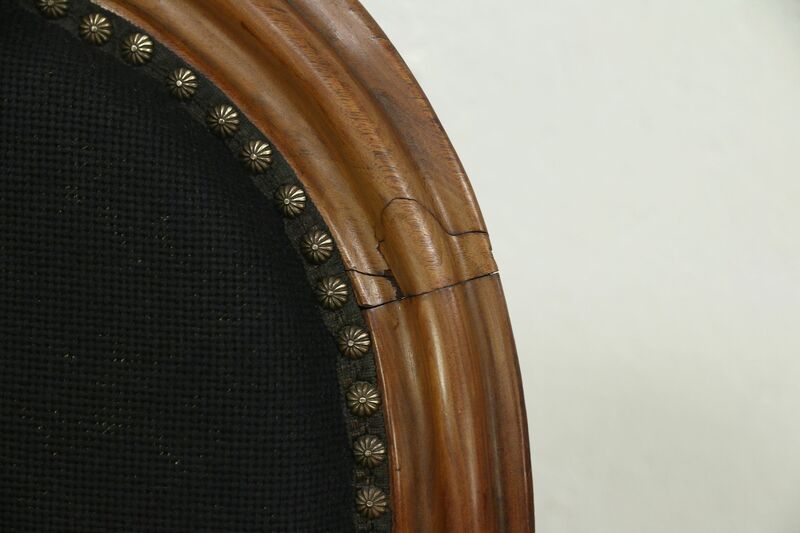 The large curving frame is strong and tight with various restorations over the decades. 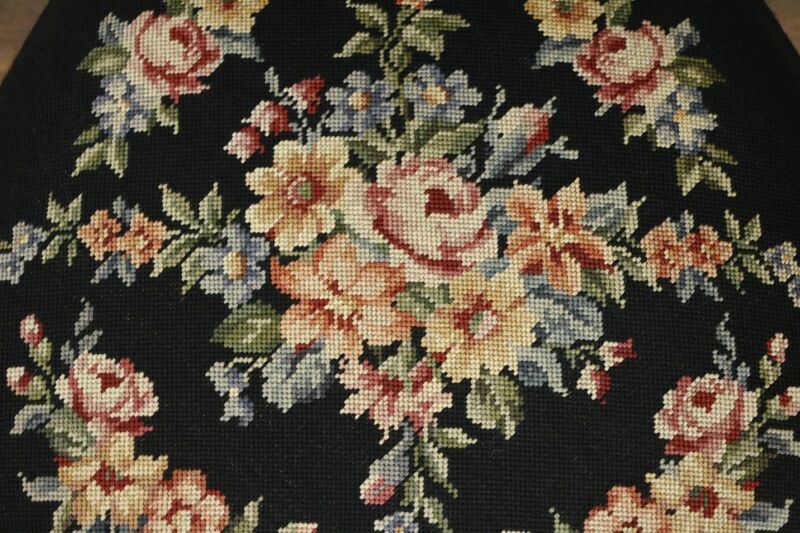 Springs are soft and comfortable. 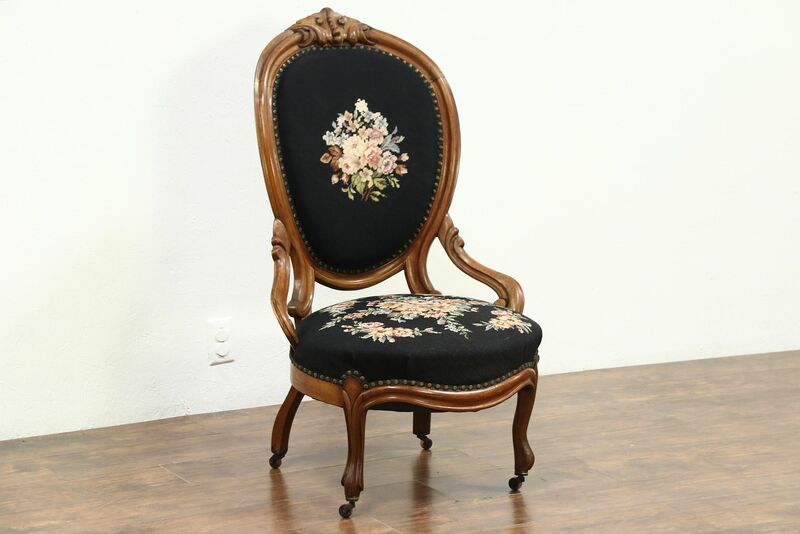 Measurements are 25" wide, 28" deep, 42" tall and the seat is 16" high.